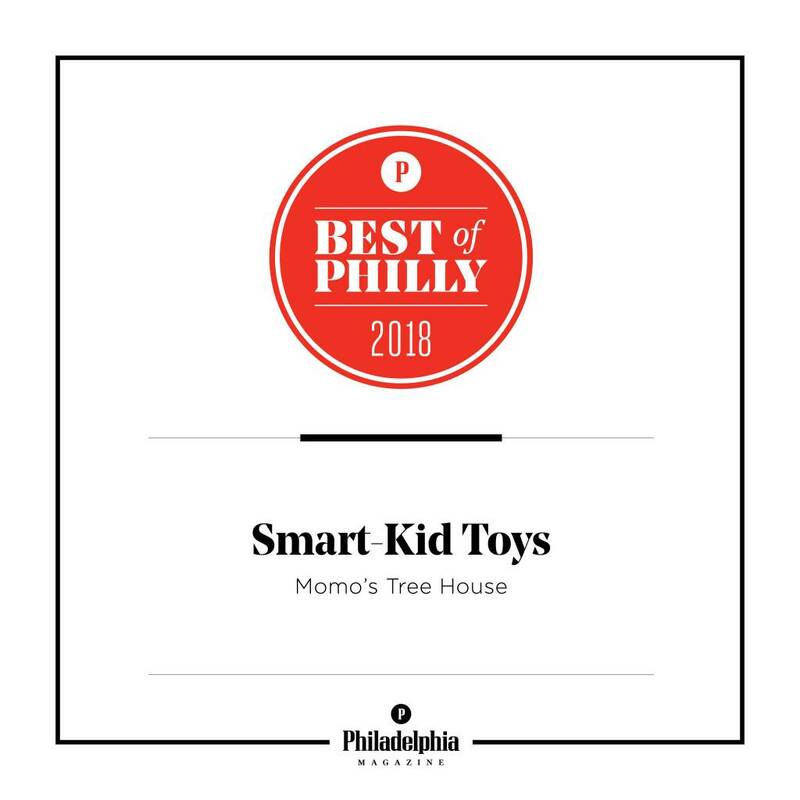 We're thrilled to share that Philadelphia magazine recognized us for Best of Philly® 2018- Smart Kid Toys. Let's celebrate! Now through Sunday, stop by for a free balloon. We're also offering 10% off all purchases over $50. To our loyal customers- thank you for supporting our small business. With the help of our community and the hard work of our team, we've created two special places for families. I love that Philly Mag recognized us for Smart-Kid Toys. It speaks to our core philosophy- that children learn through play. Did you know that every toy at Momo’s is hand-picked by a former high school mathlete? The “Smart-Kid” recognition warms my nerdy heart. The Momo's Tree House family has changed over the past year. We opened our Fitler Square store in September and I became a mother in December. I wasn't sure a year ago how we would make this work, but I'm proud of what we've built. I’m especially grateful to my wonderful team- Stephanie, Josh, Sophia, Tessa, Sav, Aleksa, Terran, Maddie, Nyeim, and Stephen. Thanks for working so hard and making it look like fun!